Although Jordan’s nuanced singing and standout style echo Simone’s musical legacy, the singer’s warmth and grace point to her Midwest upbringing. Growing up in Dayton Ohio, Jordan came from a family of church-going singers who encouraged humility. She down-played her big voice until she was singled out to star in school musicals. From then on, there was no way to hide her gifts. Arriving in Chicago to study at Northwestern University, Jordan promptly changed her major from journalism to theater and has been performing non-stop ever since. She performed as an Arts Ambassador representing the City of Chicago in Moscow and Kyiv and has graced stages throughout Europe and South America and is currently featured in the Jazz Opera, “Don’t Worry, Be HaRpy” by French composer Isabelle Olivier. The cast of four U.S. singers and an all-French orchestra triumphed but the real challenge for Lynne was when she portrayed all four characters in a solo tour de force performance. “I was terrified at first, but the experience was exhilarating!” The show returned to Paris for a third tour in June 2016. 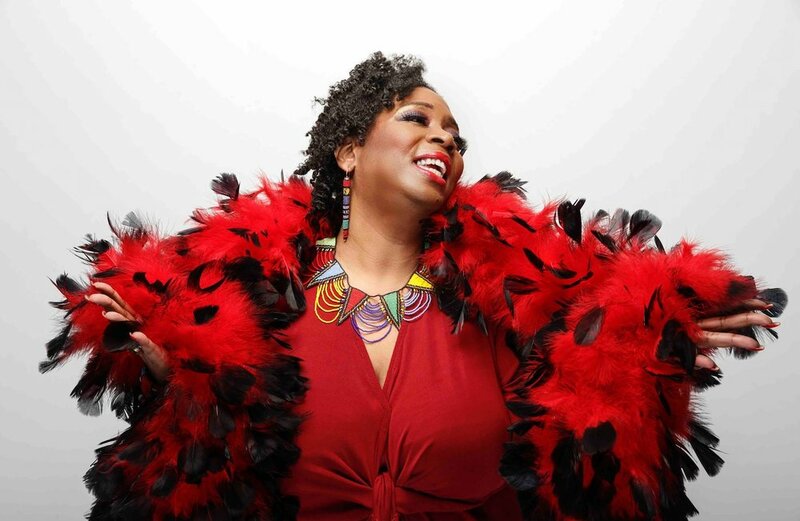 She has released two CD’s to date and is featured on recordings by Tom Waits, Urge Overkill and several compilations, most notably a tribute to Janis Joplin: “Blues Down Deep: Songs of Janis Joplin” which also featured Etta James, Otis Clay, Taj Mahal & Koko Taylor. Boasting an effervescent selection of music and stories for her Nina Simone tribute, Jordan sold out Chicago’s City Winery and did the same in New York and Atlanta. “For so long, I was told to nail my music to a genre or language and like her, I never did. I will sing in English, French, Hebrew or Japanese. It’s the song and the story that matters. To me, she represents the indie spirit of individuality and inclusiveness.” Showcasing all that individuality, Jordan offers up an eclectic array of music to the audience as they get to experience the multi-faceted diva glory—alongside the excellent musicianship and energy of her band the Shivers – which Chicago has been enjoying for decades. She has written a one woman show with LA playwright Andrew Barrett. A GREAT BIG DIVA and reading from the script in December 2017.